So, pretty much anyone who reads this blog, knows me, or has just been unfortunate enough to stand next to me at a bus stop or something has had to hear about the fact that I have been doing a course of Power Plate sessions. I have been banging on about them for the past month and a bit, since I first started the course on the 25th February. But rather than continue to wax lyrical about why I love them in great detail, I want to summarise the reasons I like Power Plate sessions…. What don’t I like? There is nothing I don’t like about the classes, I think they are my ideal form of exercise. If I can combine a couple of sessions of these a week with a couple of jogs, then I really think I would be in pretty good shape. My only slight issue is the cost, there is no denying that these sessions aren’t cheap so the cost can be prohibitive for some, but having had the chance to test the sessions out for long enough to see proper results I am extremely keen to sign up to more. So, onto the all important part – The Results. Overall, I truly feel like it has made a difference but I will leave it to you to make of it what you want. Before my first (and final) session I did a full body test on the in-studio ‘in body’ machine to get a really clear idea of how my body is made up, and to help me get a true impression of the difference it makes. There are a number of other stats, some of which are relevant and some that aren’t. I will go into some of these in a bit. So, overall – I am hugely happy with these results. I have managed to lose 2.5kg of body fat (reducing my body fat percentage by almost 4%) through power plate sessions alone – I haven’t changed my diet at all, apart from making an effort to eat more protein. I have increased muscle – which I can definitely feel, especially in my thighs, stomach and upper arms and still managed to lose weight over all (0.9kg) which wasn’t the goal, but is a bonus. So those are the stats from the machine, I also took body measurements before and after starting the course… these give a better impression of the difference that toning up can really make. I am so happy with these results. I feel so much better for having toned up,- especially having managed it so quickly. I don’t think it would be possible to get these results from the equivalent time in the gym, it would take far longer. Plus, the fact that my usual jeans are feeling quite loose is a huge bonus. If you do the classes, mix up the days so you have different trainers each time so your work out varies. Drink lots of water before, during and after sessions. For your first few sessions, have a bath after wards to help ease the next-day aches. If you aren’t a fan of long exercise sessions, I would definitely recommend the power plate – most studios do trial sessions, so go along and see what you think. Be prepared for the sensation to be quite unusual, when you stand or sit upright on the plate the vibrations go all the way up to your head and can make it feel like even your eyeballs are shaking. If you want to work a specific area, tell your trainer and they will usually give you an extra special move. If the cost of Power Plate sessions is too high, go for a trial session to pick up the moves and then join a gym with a power plate or even just try the moves at home. So, yes – I am a HUGE fan of Power Plate. I can happily testify that they are not just a fad – they really do deliver results. The Power Plate sessions were provided free of charge. All opinions are honest and impartial. I really want to try these so much, there’s a gym near me that has classes for free but the membership is about £90 a month, I can’t afford that at the moment. When (if) I’m sorted with my nice little graduate job or teacher training then I’ll spend the money and go because it’s a ten minute walk and I have no excuse not to go. 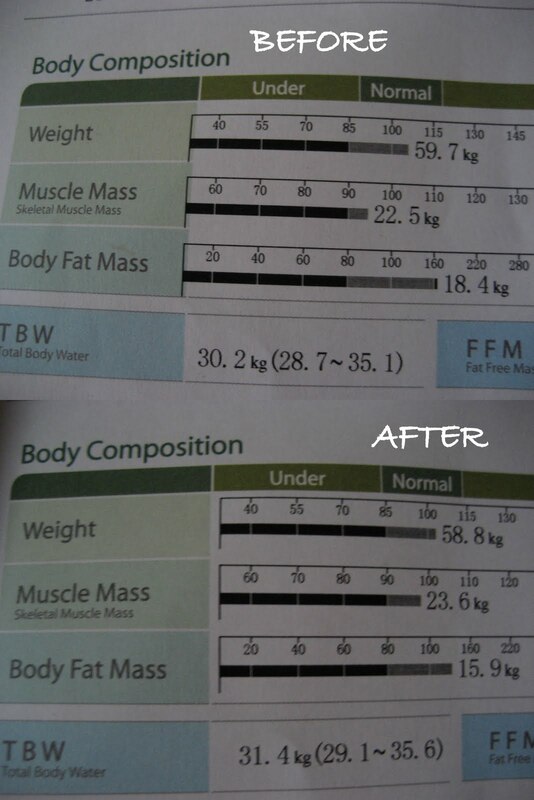 A friend of mine did it for twelve weeks and the results were amazing. I have to jump on the PowerPlate bandwagon too…I love it!! It really leaves you feeling refreshed! I swear, I do about 29-30mins cardio, then I do a 10min course on the Powerplate, and it’s amazing!! The first time I used it I was like wtf!? Esp with the vibrating eyeballs, but love it now!! You have to tell me the movements you do, so I can do them too…your results are amazing! What great results! I’m desperately trying to track down somewhere near me that has a PowerPlate class! Argh I swear the Wahanda Modeal yesterday was more for more classes. I really wanna try this out. Well done on the results! I have a question regarding Power Plate. I usually go to the gym three times per week (or at least I try to…). I would like to lose some weight and tone up, so this all sounds great! Now my question is, can I still do my usual training (cardio+some light machine training) before using the PP? I quite enjoy my normal workout and would like to keep it up, but without overdoing it! I believe you can – just don’t do more than about 10mins on the Power Plate. The main thing they advise is to make sure there is always a day in between PP work outs and not to do more than 3 sessions a week. Could be the ideal combination, but I would suggest double checking with a trainer at your gym as I’m not a PP/fitness expert. Good luck with the training, I’m sure you will love the PP as much as I do! I tried power plate for the first time yesterday, and really enjoyed it – and most enjoyed only being at the gym 30 mins and then able to go out! Quick question, did you do 2 sessions of 30 mins a week for 1 month to get your results? Just trying to get a sense of how long this will take! Looks like I weigh and measure about the same as you..
Brillaint blog! Thanks soo much. Thanks so much for sharing your PP experience-do useful! You rarely get to see results from a vibration plate in black and white like that, great effort and now comes the hard part is keeping it up! Get more information on vibration plates here! Some really useful tips on power plates there and congrats on your results! Just curious, are you still using them today and if so do they still work for you? I haven’t used them for a while, but mainly now just because I moved and there aren’t any dedicated studios near me anymore. Which is a shame – as I still stand by it as the best way to tone up quickly! Such impressive results for minimal effort! Well done on the loss, great progress. Have you thought about buying one for at home? I have one and you can pick up some quite cheap second hand ones now.